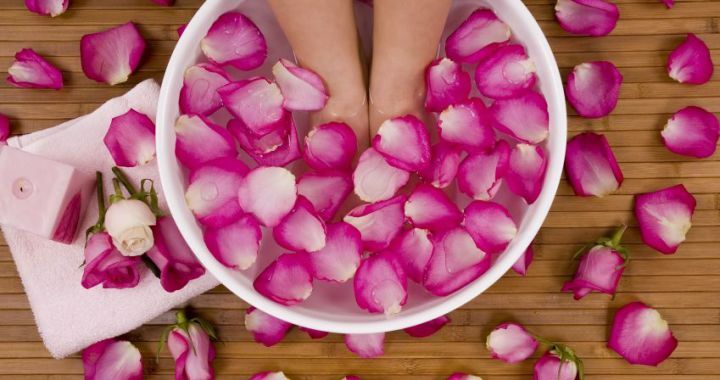 If you feel run down and tired, give yourself a treat with a herbal foot soak. It is easy and quick to prepare with beneficial results. Enjoy a cup of your favourite herbal tea while you are soaking your feet to get double the value from your pampering time. Remove the boiling water from the heat source and add the herbs. Let it cool down while the herbs are steeping. When the water has cooled to a comfortable level, add the Epson salts, stir in and soak your feet for as long as you like. Posted in Aromatics, Healing Herbs and tagged fresh, herbal, relax, stress. ← Why do you love your garden so much?